Boredom? What's that??? I can't remember the last time I was bored! Keep the tv off during the day. I'm doing pretty well with this one. I keep it off until dinner time so we can watch the news. I drink an awful lot of water. Excellent. Whether it's writing a review on Tripadvisor or a comment on a blog post, I find myself using that word WAY too much! I didn't do very well with blogging this week; I haven't even reviewed last weekend! I had been blogging in the morning after my walk, but I found a new love: power washing! There's something so very satisfying seeing the yuck coming off. I spent Monday morning on the back porch & sidewalk, and yesterday on the front. Absolutely loved it, even with getting extremely grimy. :) for you keeping the TV off. Killing people with kindness does turn the tables. I have been doing some deep cleaning and I feel so good seeing the dirt and grime go away. I know just what you mean about power washing. I love to do it too because of how nice everything is afterwards. I haven't turned the tv off though I might as well. I don't watch it, I think I just appreciate the noise. We need to get a power washer. The outside of our house really could use it. Kill em with kindness--good answer, but not always easy to do. I love the results of power washing but goodness, its hard work. Hats off to you! Have a great rest of the week! There isn't much on TV to watch so ours isn't on much right now. I was bored just this past week. I had surgery on Tuesday and was to lay down and take it easy for a week. Well, I was up sitting at the computer and went out about 3x. Even tho I have books to read, and my Kindle, I cannot just lay around. My Dr says I am healing fine. I would love to go camping. We haven't done that in years. I love your answer to #5. 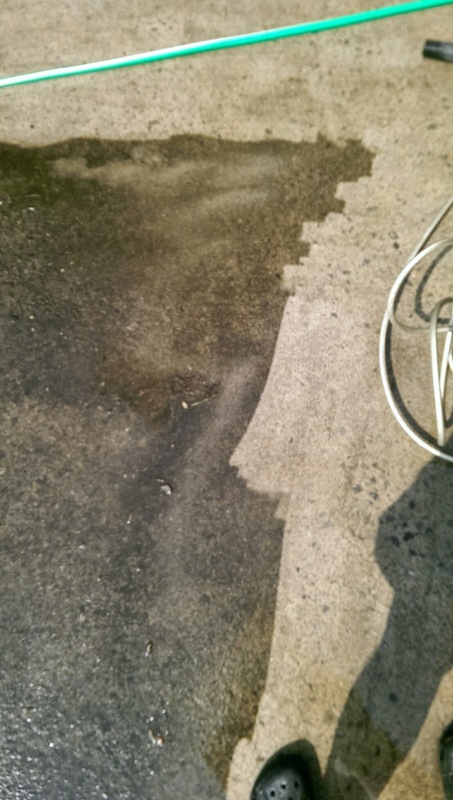 Isn't it amazing what power washers can do. I've never seen Meatballs... gasp! I know it isn't always easy to cheer some people up. But at least you're trying! :) Anyway I used to like camping when i was young but I rather be in a hotel or lodge. :) I do love s'mores, you can't go wrong with that. Thanks for your kind words on Stella, she loved everybody and was sure a great guard dog for my sisters kids. One time she saved the chickens from being killed by a raccoon! Although she never liked the cat, he was always mean to her the moment they brought her home as a puppy. Have a great day and hope you had a great 4th! The outside of our house could stand a little power washing. The only time I ever used a power washer was when we prepared our old deck for staining ... I was amazed at the difference it made! Lol! 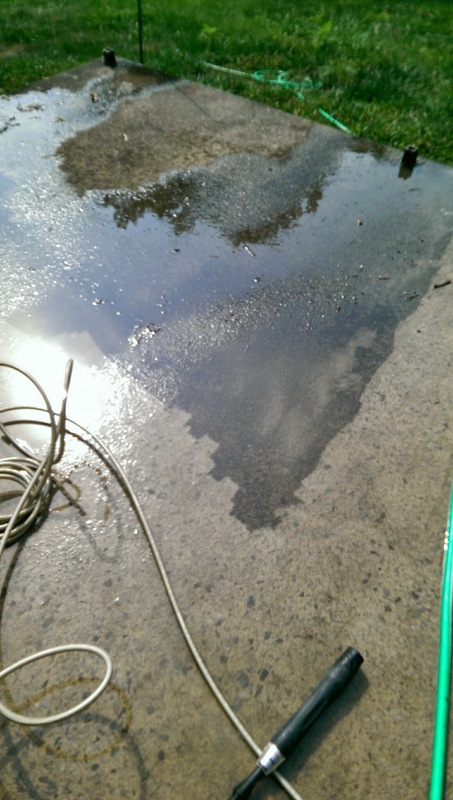 I never thought of power washing as something fun to do! I get what you mean though about how it's fun to see all the gunk come off. It's one of those weird fun things to do like popping bubble wrap. That is awesome keeping the TV off all day. I usually have movies playing in the background, I don't watch any daytime TV. Meatballs is a fun movie!